We love the number five. Don’t you? Break a complicated process down into five steps, and suddenly it seems so simple. 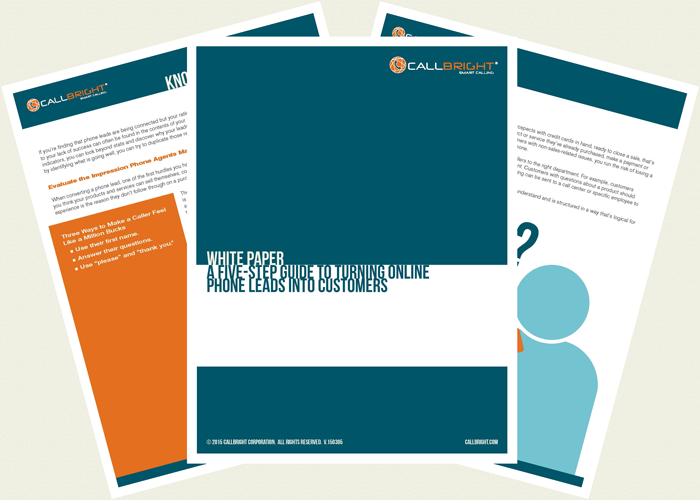 That’s exactly what we’ve done in our latest white paper about turning online phone leads into new customers. Download the white paper to find out what five steps you need to follow. Fill out the form to get started now!